This Bergenia can be scorched by frost, hence its positioning in the shelter of the Glasshouse Bays. 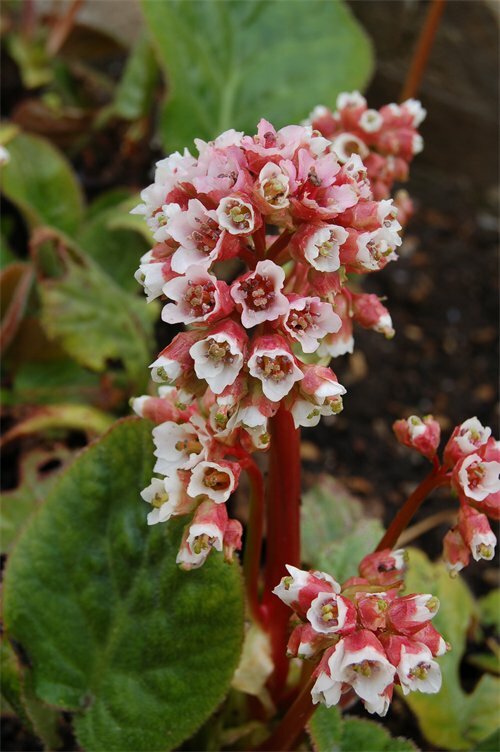 The genus Bergenia comprises rhizomatous, ground cover species, which will grow in dry, open situations. A member of the Saxifragaceae, it is distinguished by dense flower heads and large, rounded foliage, which gives rise to the common name ‘elephants’ ears’. This species originates in the western Himalaya, and although having a hardy rhizome, the emerging hairy foliage and the flowers can be damaged by frost.